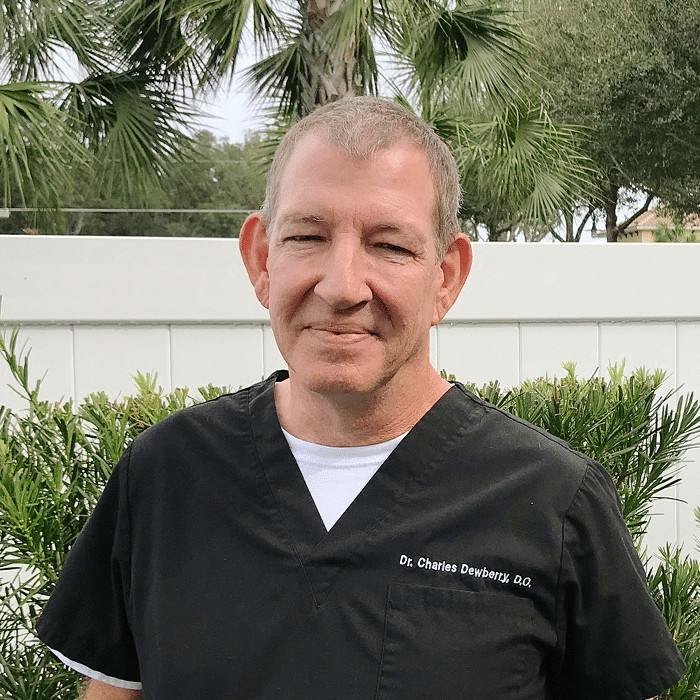 After earning his medical degree at University of Health Sciences College of Medicine in Kansas City, Dr. Charles Dewberry completed a traditional internship in Kansas and a dermatology residency in Tampa. Dr. Dewberry has published research on skin cancer and other skin diseases in the elderly, as well as in the field of hair transplantation. Before joining FLDSCC, Dr. Dewberry worked with a comprehensive dermatology healthcare management group. Dr. Dewberry found his niche in dermatology through personal experience. He was diagnosed with skin cancer during medical school and had serious rosacea. This commonality with patients makes him especially attuned to their concerns. As he says, “We treat people with skin disease, rather than treating skin disease.” Dr. Dewberry has an adult son and enjoys history, golf, and playing music.